HARRISBURG — Pennsylvania House State Government Committee Chairman Representative Daryl Metcalfe (R-Butler), Representative Martina White (R-Philadelphia), Representative Doyle Heffley (R-Carbon), and Representative Jerry Knowles (R-Berks/Carbon/Schuylkill) joined together to officially introduce three pieces of bipartisan legislation to curb illegal immigration throughout the Commonwealth. Do you pray according to your own will, or according to God’s will? Did you know God reveals His will to us through His Word? “Where is Kim Ward?” I heard over and over Thursday night at the Greensburg Garden and Civic Center. Where is she hiding is more like it! The misinformation and propaganda keeps on coming from Ward’s ivory tower. However, this time she didn’t just send spies…she sent her misinformed minions! The leader even said she was an AFP regional rep…I thought AFP was neutral on 76? You have to laugh though, these “protesters” had no idea what was in the PTIA 76. After Ron Boltz and Jim Rodkey educated a few of them outside, you should have seen the steam coming from the lead, self-proclaimed, AFP troll! Allentown School District is in dire financial condition. Hundreds of teachers have been laid off in recent years. Despite this, the union president manages to pull a full-time teacher’s salary and benefits from the district payroll without teaching one minute in the classroom. For years, Allentown taxpayers have funded salary and benefits for a “ghost teacher” who is on district payroll but actually works full-time for the local teachers’ union. Since 2000, the cost to taxpayers has been more than $1.3 million. While Gov. 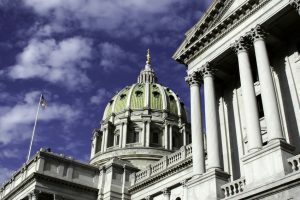 Tom Wolf’s 2016-17 budget proposal irked Republicans in the state legislature, the $33.3 billion spending plan is also sparking concerns among Pennsylvania’s school choice advocates for its perceived attacks on Pennsylvania charter schools.. CHARTERS FEAR WOLF: Gov. Tom Wolf proposed another budget in Harrisburg that school choice advocates have issues with. Saturday morning, The Scranton Times reporter, met with 18, PTIA76 warriors in front of Senator John Blake’s office this morning, in Scranton. “Why were we there”, he asked several volunteers. “To spread the good news of school Property Tax independence Act 76 AND hold Sen Blake accountable for betraying us, betraying his constituents and betraying another 10,000 homeowners who will lose their homes this year”.